A Blast From the Past will have a spanking new home from tomorrow. That’s right – the blog’s been picked up by the Smithsonian Institution, which has decided to expand the coverage its magazine site offers to include a regular history blog. It’s all very flattering, because the Smithsonian looked at an awful lot of other sites before contacting me. On top of that it is, of course, pretty much the biggest and best museum in the world, and the associated magazine it publishes is of extremely high quality – I’ve spent a lot of time reading it over the years, and it’ll be a great pleasure to contribute regularly. Anyway, here’s the scoop, and so far as I can see it ought to work for everybody. I’ll be posting weekly to a new site on the Smithsonian website. Oh, and the blog is being retitled – “Past Imperfect” – and because it needs to be updated twice a week (gulp), I’ll be sharing it with a couple of friends – Karen Abbott, author of Sin in the Second City and a well-received new biography of Gypsy Rose Lee, and Gilbert King, who wrote the estimable The Execution of Willie Francis. The benefit to me is that I get paid for doing something that has previously been a hobby. That means I can justify posting much more regularly (did I tell you I’ll be writing weekly? ), which in turn goes some way to explaining why this blog has been so quiet for a while – I’ve been busily researching and stockpiling loads of fantastic material for Past Imperfect. But A Blast From the Past won’t be going away. The deal I have with the Smithsonian allows me to post my material here 90 days after it appears on their site, so I’ll still be updating regularly, just slightly in arrears. And those of you who’ve subscribed will continue to receive notification, because I’ll be posting details of the highlights of each week’s post here as I go – with a link to take you to the full article, of course. It’s been an interesting ride so far, but it’s about to get a whole lot faster. You’re cordially invited to join me for all the ups and downs. I must say, well deserved! Look forward to seeing it, well done. Congratulations Mike! I trust you will really enjoy the days ahead! Hooray! WEEKLY posting! I’m delighted! That’s fantastic! 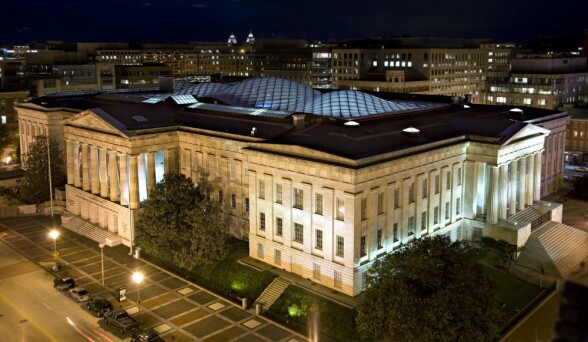 I think the Smithsonian chose very wisely, and I’m looking forward to a weekly pleasure. Congratulations! I will certainly check out your stuff along with all the Smithsonian content. And I am glad you will be posting more often!